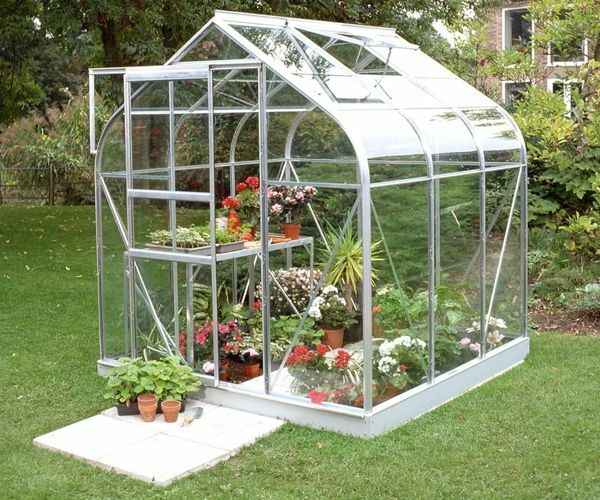 The 6x6 Halls Supreme with Horticultural glass is an ideal greenhouse for a small space in your garden or allotment. 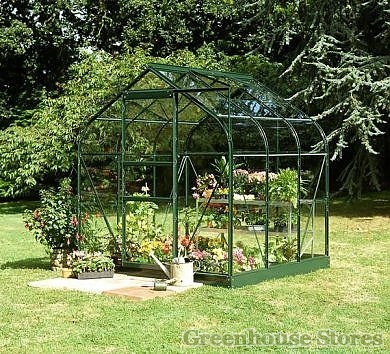 The Halls Supreme silver 6ft x 6ft Greenhouse with full length toughened safety glass will get you growing in even the smallest of yards or gardens and offers all of the features you would expect from a Halls greenhouse. The attractive curved eaves on the Supreme are made from tough UV protected acrylic and give the greenhouse a unique look.